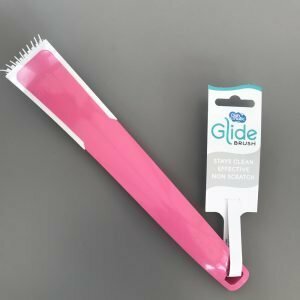 Glide is the gorgeous new dish brush from Dishmatic. You know how much I love a new cleaning product, right? So I’ve been putting this one to the test. First check out it’s sleek and slender look! And… mine is pink, I love pink accessories and it looks nice stood in my kitchen sink tidy. It’s slimline and has an easy grip handle, the shape of the handle made it easier to hold and use with less chance of it slipping through your hands. 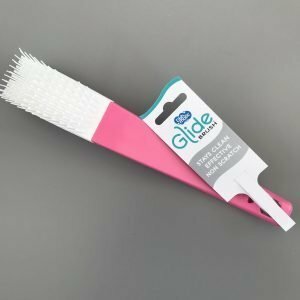 The brush part isn’t made from traditional nylon type bristles but has non-stick, rubbery blades and bristles which are staggered and at different heights – so it’s easier to get into all the corners and scrub at stubborn dirt without causing any damage to the surface. The graduated bristles make it less likely to miss any bits of dirt too. The Glide bristles and blades aren’t too close together so there’s a reduced chance of bits of food getting stuck amongst them. 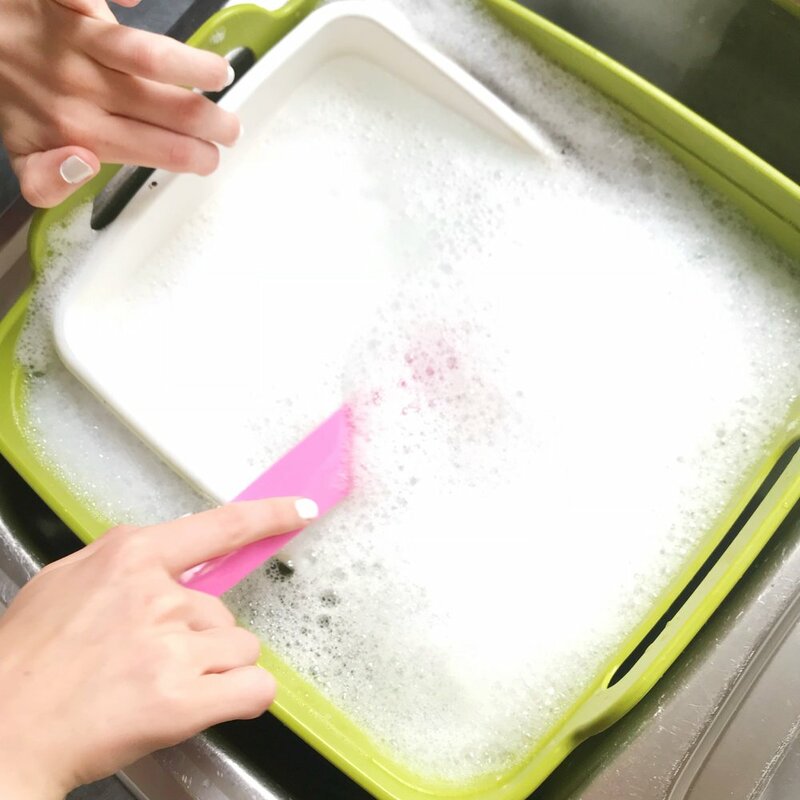 It’s easy to clean, just run it under warm water to rinse and if you like to do a deeper clean you can throw it into the dishwasher too. 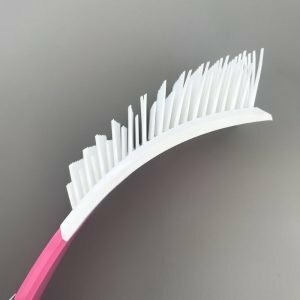 Because the bristles are well spaced, air can circulate around it more freely and it dries quicker. It just felt like a much more hygienic design and we really liked that. 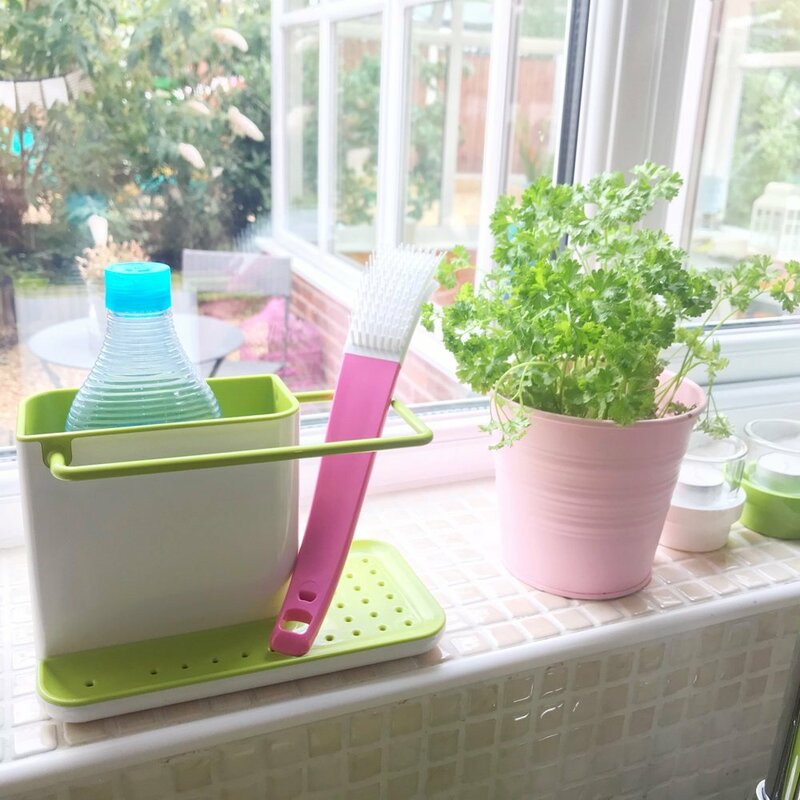 The Glide works really well – it’s easy to hold, easy to use and really lifts stubborn food pieces from the pan. 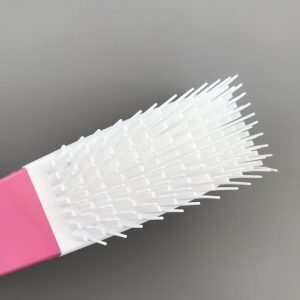 The bristles are quite firm and so scrubbing at tough bits is easy. Disclosure – sponsored post on behalf of Dishmatic – for full details of my disclosure policy please read here.